Dr. Robin Read is a roboticist working at Dyson Technology Ltd as a Senior Robotics Research Engineer. Prior to joining Dyson Robin worked at Engineered Arts Ltd (November 2014 – July 2015), makers of the Robothespian and SociBot humanoid platforms, where he specialized in social Human-Robot Interaction and developed the social interactive aspects of the robots. From October 2009 to November 2013 Robin completed his PhD studies into the use of Non-Linguistic Utterances in Social Human-Robot Interaction under the supervision of Prof. Tony Belpaeme at Plymouth University. 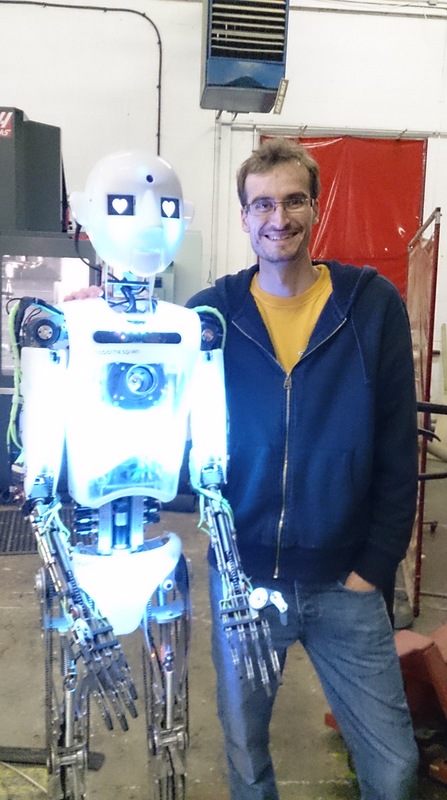 From November 2013 to November 2014 he was a post-doctoral Research Fellow at the same institution working on the ALIZ-E Project where he was part of the team investigating the science and technology behind sustainable long-term social Human-Robot Interaction, with an emphasis upon Child-Robot Interaction within a paediatric setting. Do socially animated robots just waste energy? What’s the Future of Aldebaran Robotics?